"They didn’t know that I was Jewish. It didn’t cross my mind because there, like I said, everyone thought that I was Mara... But there was also Ulisse, Polifemo, Lampo, Fulmine ... they all had battle names. You didn’t know anything about anyone. It wasn’t important. So most people didn’t know that I was Jewish." Marisa Diena was born in Turin, Italy, on September 29, 1916. 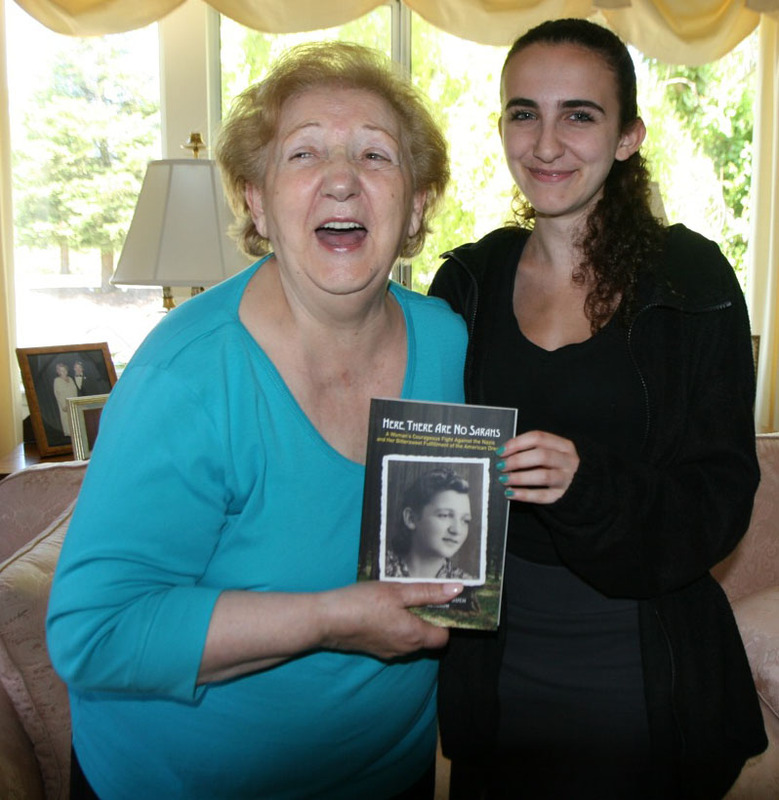 Marisa was eight years old when Benito Mussolini became dictator of Italy and was taught to love Fascism. In 1938, Italy passed its first Racial Laws, in imitation of the Nazi Racial Purity laws, which banned Jews from working in the public sector or attending public school. In 1940, Italy declared war on Britain and France, and by 1942, Turin was being bombed on an almost daily basis. By 1943, Italy was in a state of virtual civil war. Mussolini was deposed and Italy surrendered following the allied invasion of Sicily. Germany responded by seizing control of Northern and Central Italy and reinstating Mussolini as the head of a new puppet regime. After the Nazis occupied Turin, Marisa fled into the mountains around Torre Pellice to join the partisans. 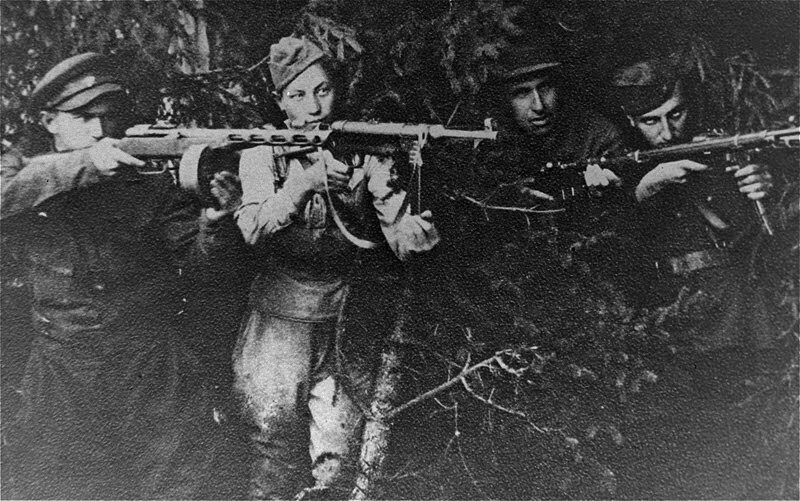 The role of women in the Italian partisans was unique; since most of the male partisans were army deserters, only women were able to move during the day without arousing suspicion. As a result, Marisa became the vice-commander of information for her unit. During the day, she would ride her bicycle around the countryside, collecting information from local informers. Each night she would report back to her commander. In addition to sabotage and guerrilla warfare, Italian partisans tried to keep order in the war-ravaged countryside. Marisa’s unit created local community committees in the Torre Pellice region to distribute rations and helped organize strikes among industrial workers in cities like Turin. In the spring of 1945, the estimated 300,000 partisans working in Northern Italy organized a national liberation committee. On April 25th, 1945, Marisa’s partisan unit liberated Turin, while their comrades in other major cities did the same. After the war, as Italian democracy began to blossom, Marisa remained engaged in politics, witnessing the ratification of the new Italian Constitution in 1948. Marisa remained in Italy, sharing her experience as a partisan with elementary school children. She passed away on May 8th, 2013. 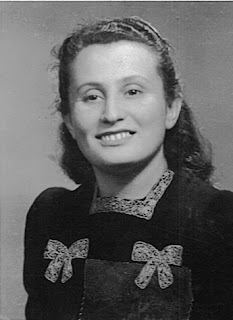 Visit www.jewishpartisans.org for more about Marisa Diena, including seven videos of her reflecting on her time as a partisan. "We are Jewish, and you know what happened to the Jews, I said, they round them up and we come here, we didn't care if it is Communists or Royalists or Democratic, Conservative, we come here to become Partisan, to fight the common enemy — the Nazis." Leon was born July 11, 1925 in Athens, Greece. He grew up in an ethnically diverse neighborhood with his father, a textiles merchant, mother, four brothers, and sister. Leon attended a private school run by the Greek Orthodox Church. The Christian theology Leon learned proved useful as a means to keep his Jewish identity hidden during the war. Shortly after the beginning of the German occupation of Greece in 1941, sixteen year-old Leon joined a group of partisans fighting for the liberation of Greece under a socialist banner. At that time, there were three groups of partisans in Greece: socialist, democratic, and loyalist. Leon fought and served as communications specialist with the partisans for more than three years, winding wires through the trees in various villages to establish telephone communication. 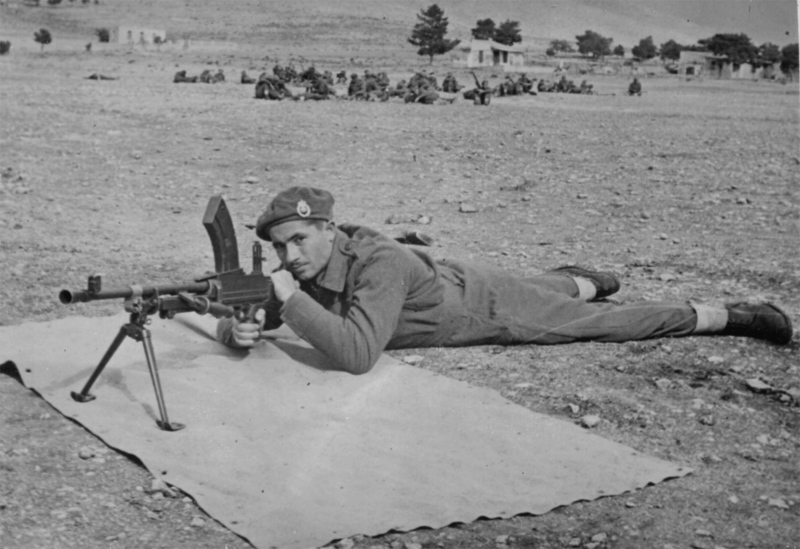 Leon Idas training to use a machine gun. The partisans lived in, and organized armed resistance against the German army, from bases in the mountains of Greece. Aided by nearby villages, British airdrops of supplies, and their own resourcefulness, the partisans primarily employed ambush and guerrilla tactics against the German army. 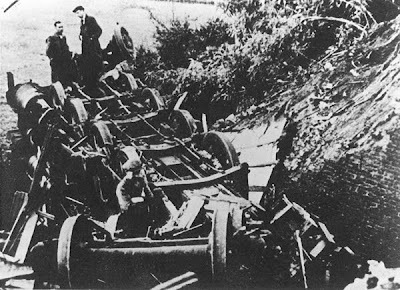 The Germans in turn attempted to eliminate the partisans by destroying villages that supported them. Leon spent more than three years with the partisans. During that time, Leon suffered through hunger, lice, a lack of adequate clothing, and had virtually no contact with his family — save for a single encounter with one of his brothers who was fighting for another partisan group. At the end of the war in December 1945, Leon left the partisans and returned to his family home in Athens. Once there, he was reunited with what was left of his family and learned that his parents and brother Gabriel had died in Auschwitz during this time. Leon eventually made his way to the United States with no more than 50 cents in his pocket, and settled in Baltimore, Maryland. He married and raised a family of three sons and one daughter, and started his own clothing business, Royal Vintage Clothing. Leon passed away on April 12th, 2013, and was laid to rest in the private Jewish Family Cemetery on the island of Samos, Greece, alongside his grandfather Leon Goldstein and Uncle Albert Goldstein. 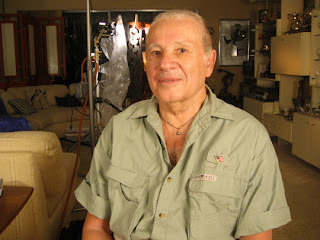 Visit www.jewishpartisans.org for more about Leon Idas, including seven videos of him reflecting on his time as a partisan. Leon's son, Sam Idas, has created a photo montage of Leon's life. 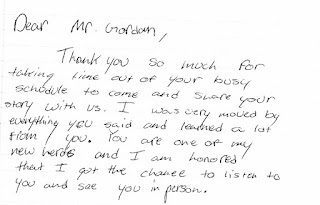 He was gracious enough to share it with JPEF - click here to view the montage video. 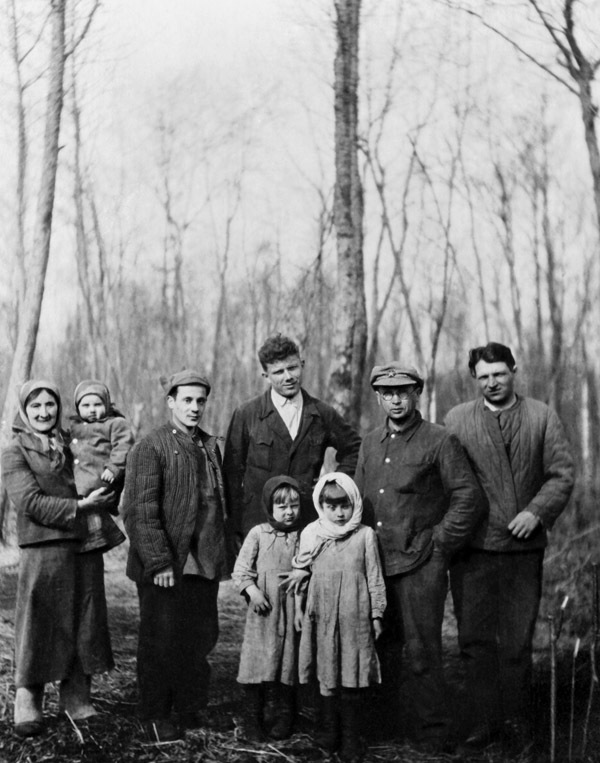 By the 1930s, Łachwa, Poland (now southern Belarus) had a majority Jewish population, which, in April 1942, was confined to a ghetto so cramped that each resident had about one square meter of living space. 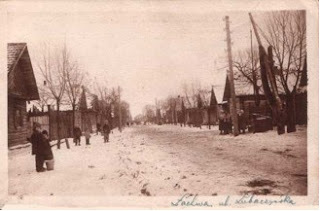 In the five short months of the ghetto’s existence, the youth of Łachwa formed an underground movement led by Isaac Rochczyn and aided by Dov Lopatyn, head of the ghetto’s Judenrat. Together, they established contact with partisan groups in the area in order to secure funding and weapons, although these groups were largely anti-Semitic and did not fully support the movement. In August 1942, residents heard from Jews forced to do labor outside the ghetto that nearby ghettos in Łuniniec and Mikaszewicze had been liquidated. On September 2, Łachwa was informed that local farmers were ordered by the Germans to excavate large pits outside the town. 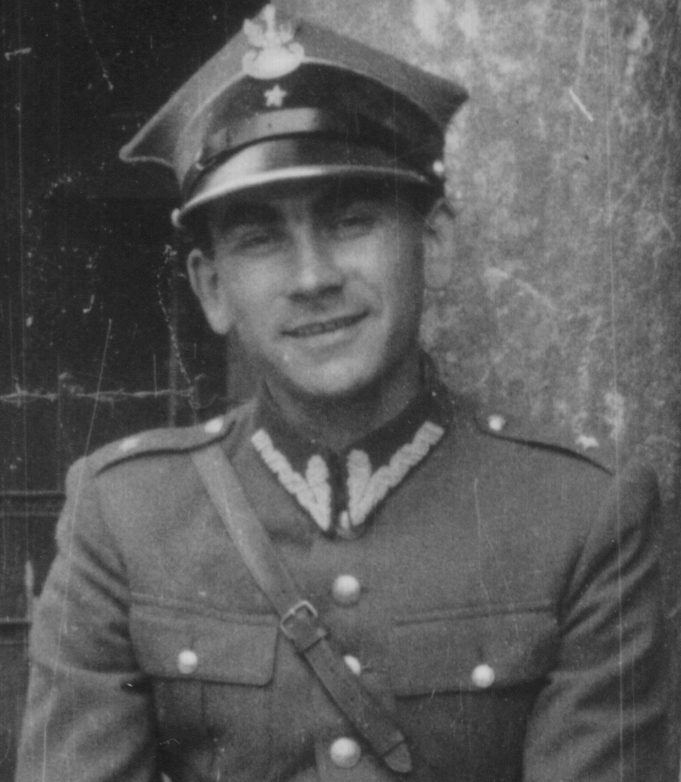 At first, Rochczyn and the youth underground wanted to attack the ghetto wall at midnight to allow the population to flee. They watched as 150 German soldiers from an Einsatzgruppe mobile killing squad with 200 local auxiliaries surrounded the ghetto. Lopatyn, however, did not want to abandon the elderly and the children, and he asked the attack be postponed until the morning, allowing the Judenrat to discuss their options. 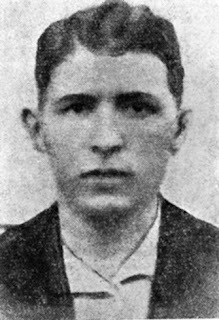 Yitzhak/Isaac Rochzyn (or Icchak Rokchin), Łachwa Ghetto underground leader and head of local Betar Group. When morning arrived, the ghetto inhabitants were ordered to gather for "deportation." The Germans promised Lopatyn that the Judenrat, the ghetto doctor, and 30 laborers of choice would be safe from deportation. Lopatyn refused the offer, reportedly responding: "Either we all live, or we all die." Łachwa lost the majority of its population that day. A number of survivors, however, were able to join with partisan units in the area. Dov Lopatyn, who fought alongside the youth of the ghetto, escaped to the forest and joined a partisan unit, as well. He was later killed on an operation by a landmine in February 1945. Lopatyn leaves a legacy of his courage and leadership, underneath which the Jews of Łachwa stood up to their oppressors. "I lost my family -- lost my father, my mother, my brother, lost all the close relatives, and that was about 70 members of my closest family. It was tough to talk about it, and the refresh bring it back to your memory. It was painful. But as the time was going by, and I felt the story which I know firsthand has to be told." Joseph Greenblatt was born in Warsaw in 1915. He learned about resistance from his father, an army captain who had fought for Polish independence during WWI. At eighteen, Joe enlisted in the Polish army as an infantryman, becoming an officer in 1938. In 1939 he was mobilized and sent to the Polish-German border. He witnessed the German invasion directly and fought for almost twenty days before being taken prisoner and sent to a German POW camp. It was in the camp that he began to establish connections with the newly formed Armia Krajowa (AK). The AK hijacked a German truck, transporting Joe to a hospital, freeing him and his fellow prisoners. Joe returned to Warsaw, only to find the Jewish population of the city walled into a newly formed ghetto. Though they were imprisoned the Jews of Warsaw were far from passive; underground resistance units had already begun to form. Joe used his army connections to amass a stockpile of black market weapons. He also met and married his wife, the younger sister of a comrade in arms. In the spring of 1943, rumors of a full-scale liquidation circulated. Joe and the other partisan commanders decided it was time to act. Disguised as Nazis, they attacked German soldiers as they entered the ghetto. Joe remembers how men from his unit threw a Molotov cocktail into a tank, destroying it and killing several Germans. Joe eventually escaped from the ghetto through the sewer system, emerging in the Gentile quarter. Hiding his identity with a Christian alias, Joe made contact with his old POW comrades and joined the AK. He then worked as a member of the Polish underground, raiding a German train depot and aiding in the assassination of a prominent SS official. In late 1944 he was remobilized with the Polish army. When Germany surrendered, Joe was working as the commander of a camp of German POWS. After the war Joe went to work for the Irgun under the command of Menachem Begin, traveling between Belgium and Israel as an arms dealer. Visit www.jewishpartisans.org for more about Joseph Greenblatt, who passed away on March 11, 2003 at the age of 87, including four videos of him reflecting on his time as a partisan. Guest writer, Ralph Berger shares insights into his parent's riveting memoir. 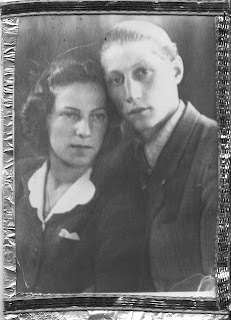 “With courage shall we fight,” a line from one of my mother’s poems, “Jewish Partisans,” is a fitting title for the memoir of Murray “Motke” and Frances “Fruma” Gulkowich Berger’s incredible story of survival. 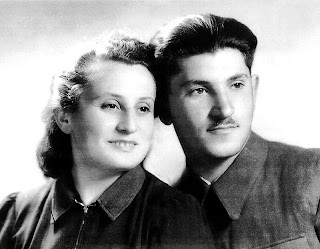 Miraculously, first individually and then together as fighters in the Bielski Brigade, they escaped from the Nazis and certain death and literally fought back, saving not only their own lives but those of others as well. Growing up, I never knew any of the former Partisans to be reticent about speaking of their experiences. My parents were passionate about Holocaust education and about educating people to the fact that Jews did not go like sheep to the slaughter. They wanted the world to know that when they could, Jews fought back, physically and spiritually. 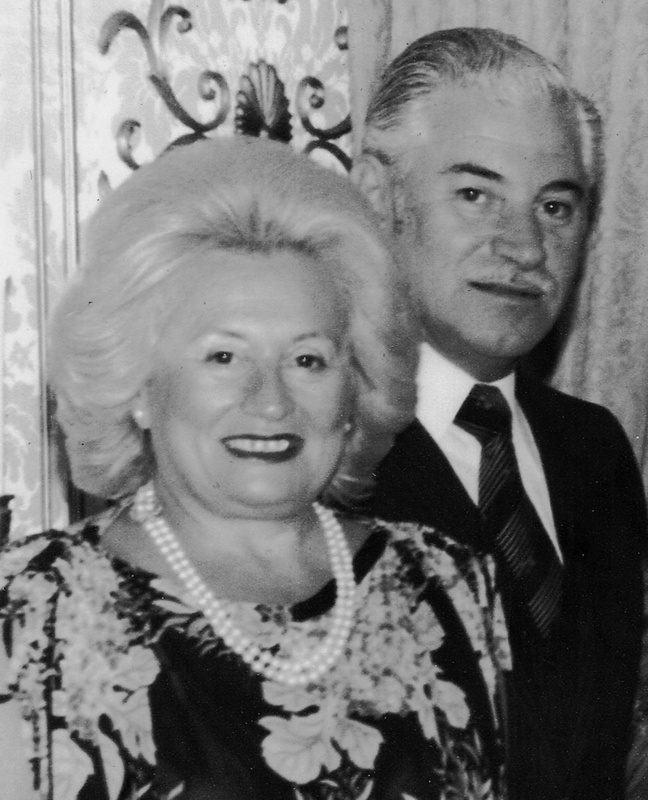 In writing this book, my brother Al and I sought not only to honor our parents, but to continue their mission of educating people about their experiences, as well as the experiences of others, during the Holocaust. My Dad, Murray Berger, was born in a shetl called Wseilub, in what was then Belorussia, White Russia. 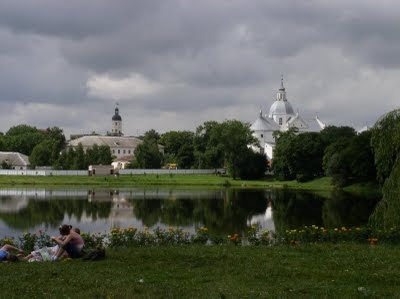 My Mom, Frances Gulkowich Berger, was raised in Korelitz, Poland, a shetl in the county of Novogrudek. The world that my parents lived in was destroyed by the Holocaust. Sensing that a massacre was soon to take place in the Novogrudek Ghetto, my Dad was determined to escape. He and others wanted to join the Partisans, guerrilla fighters, and fight the Nazis. They wanted to do this despite the fact that there was tremendous anti-Semitism among the Russian and Polish partisans. Many of them would readily kill a Jewish fighter for a good pair of boots. But then word came that the Bielski Brothers were forming a Jewish partisan unit. 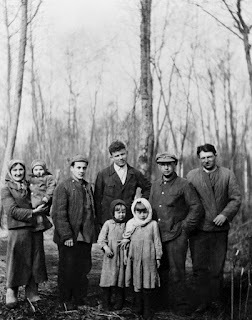 My father was among the first seven men to escape from the Novogrudek ghetto and join the Bielskis. Another eight, including my uncle, Ben Zion Gulkowich, followed soon thereafter. Those fifteen men elected Tuvia Bielski to be their Commander. The Bielski Brigade was born. Both independently and along with Russian detachments, it fought the Nazis. It engaged in sabotage, blowing up bridges and rail lines, destroying telephone lines, bombing Nazi police headquarters and, at times, engaging in open combat. And, very importantly, the Bielski Brigade rescued other Jews. The Bielski detachment grew into a forest community of more than 1200 Jews. It was the most massive rescue operation of Jews by Jews. In the summer of 1942, the Nazis massacred over 4,000 Jews from the Novogrudek ghetto. My Mom and my aunt Judy Gulkow survived by hiding in a cesspool for six days, without food or water. They were rescued by my uncle, Ben Zion. Shortly thereafter, with about two dozen others, they escaped and joined the Bielski Brigade. My Mom was the first woman in the Brigade to be issued a weapon. With Courage Shall We Fight is a compilation of my parents’ writings and my Mom’s poetry, as well as a pictorial history. It tells about their lives before, during and after the War. It is first person testimony in my parents’ own words. Holocaust scholar Michael Berenbaum described With Courage Shall We Fight as a memoir of “defiance, determination and resistance.” I agree. But it is also a story of love and of hope. The picture on the cover of the book was taken in 1945 in a displaced persons camp in Romania nicknamed “Kibbutz Tulda”. All are former members of the Bielski group. My Mom is the one with the hat, my Dad the one in the cool glasses. We chose this picture because despite what they all endured, they look so happy, happy to be alive. Copies of With Courage Shall We Fight are available from the publisher at www.comteqpublishing.com, the Museum of Jewish Heritage at www.mjhnyc.org, and from amazon.com. All royalties are donated to support Holocaust education. 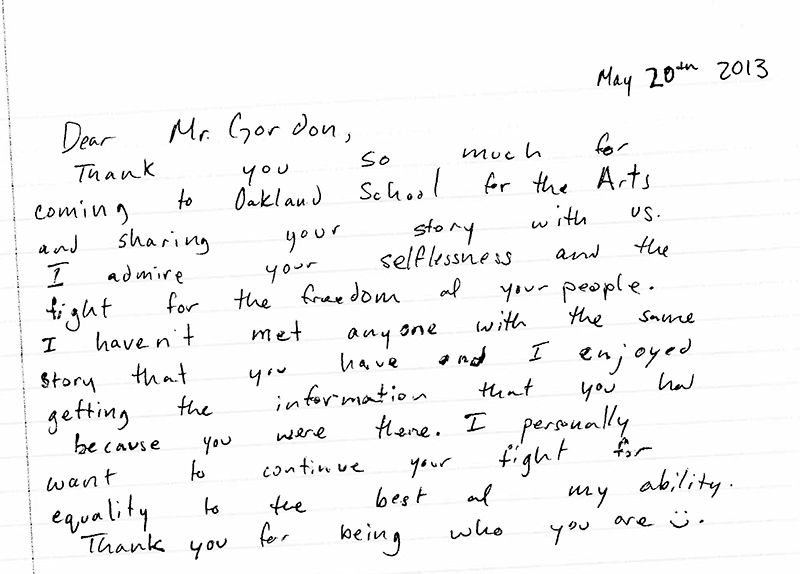 One class at the Oakland School for the Arts last May had the opportunity to ask Jewish partisan Murray Gordon their questions face-to-face. 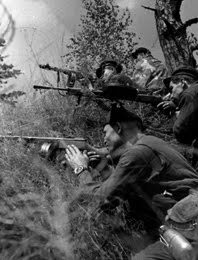 They heard the first-hand account of his experience as a partisan during the war: about his escape from the ghetto, joining a Lithuanian partisan group, sabotaging German supply trains and a narrow miss with a Nazi bayonet. Afterwards, a few students got a chance to ask him questions directly. 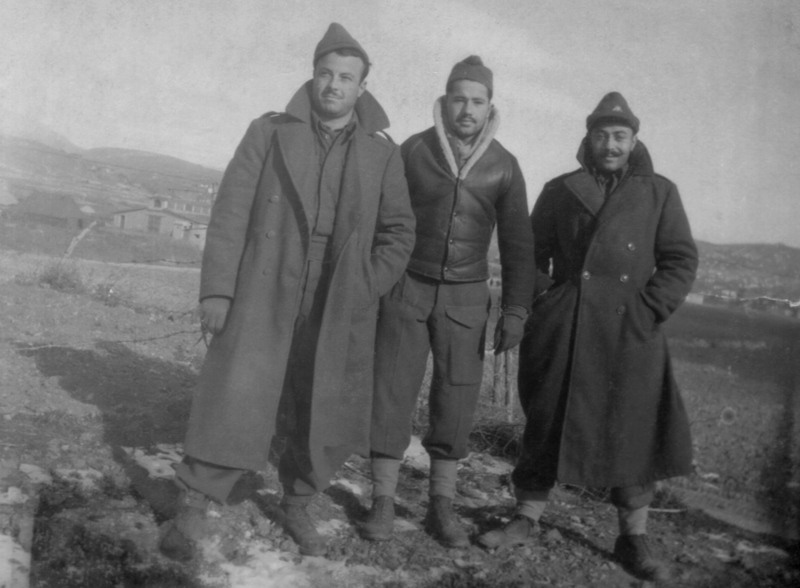 Encourage your students to make a personal connection to a Jewish partisan by assigning them to read a JPEF biography and watch the accompanying video testimonial clips. 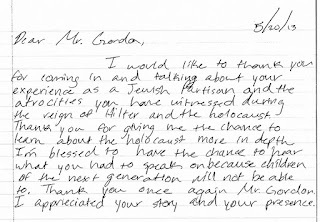 Ask students to write letters to Jewish partisans describing their reaction to these stories of resistance. Even if a student’s chosen partisan might no longer be alive, it's still a great theoretical exercise, and if students choose a living partisan they can send the letters directly to their partisans through JPEF. Submit your stories to us and we may post them on our blog! On September 21st, JPEF executive director Mitch Braff was in New York City with Liev Schreiber, recording the narration voice-overs for JPEF's new documentary film, "The Reunion". 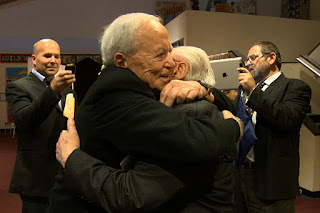 The film features candid conversations with Jewish partisans about the responsibility of being among the last Holocaust survivors, and celebrates moments of joy as former resistance fighters reunite and see each other for the first time in over 65 years. This photograph was taken right after the studio session. JPEF is grateful for Liev's continual help over the years, including our PSA last summer with Larry King and Edward Zwick. Liev Schreiber played Zus Bielski in the 2008 film "Defiance". The film will premiere across the United States in 2012-2013. Premieres are confirmed in New York City on October 22nd at the Paley Center for Media, as well as in San Francisco on November 13th at the Delancey Street Screening Room. More dates and venues to be announced in the future. 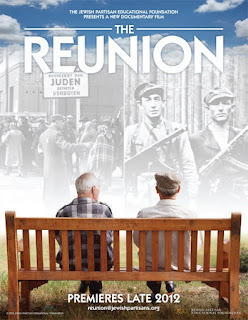 For more information about the film, please visit www.jewishpartisans.org/reunion. When is violence is an appropriate response to Aggression (if ever)? Was non-violence effective during the Holocaust? Expand your students’ vocabulary and creative/critical thinking around the spectrum of violent and non-violent resistance to aggression today (globally and in our own lives) through the lens of Jews who fought back against the Holocaust. Includes an overview of Jewish armed and unarmed resistance during the Holocaust. Painting on the right by Mieczyslaw Watorski, courtesy of the Holocaust Library & Resource Center at Albright College. JPEF is launching a new series of educator’s guides on how to use our materials for specific subjects and contexts such as Language Arts, Tolerance and Civics classes. Our first module, Strengthening Jewish Identity includes discussion questions to go with our films, tips for increasing Jewish pride, and an index of materials best suited to day schools, summer camps, supplementary programs, youth groups and more. Want to join the discussion? Sign up for RESISTList here! Over 89% of educators who have take a JPEF E-Learning course said they would take another and 97% would recommend it to a colleague. Now the State of New Jersey Holocaust Commission is offering professional development units for each course, and we’re working on more certifications. We’re also developing new courses for our upcoming curricula and other projects. 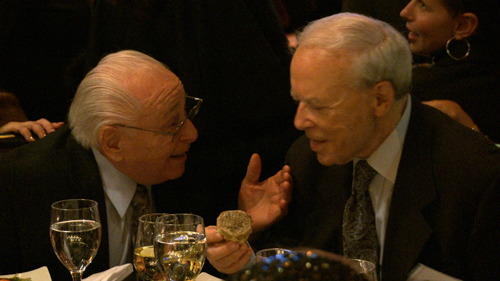 In November 2011, JPEF honored more than 55 surviving Jewish partisans in a series of events in New York City. JPEF’s newest documentary, "The Reunion," features candid conversations about the responsibilities of being one of the last Holocaust survivors, and moments of joy as former resistance fighters see each other for the first time in over 65 years. "The Reunion" tells the story of lifelong bonds and a unique legacy that connects people across decades and generations. For more information about the film, please visit our Reunion page. Over 55 Jewish partisans gathered together in New York City on November 6th and 7th to commemorate the enduring legacy they share and to be honored at the Jewish Partisan Educational Foundation’s 2011 Tribute Dinner. Traveling from throughout the United States, many with children, grandchildren and even some great-grandchildren in tow, they reconnected with friends and quickly rekindled the strong bonds that will forever unite them. The celebration began with a Sunday afternoon reception for partisans and their family members, hosted by JPEF, at the Park East Synagogue. Laughter resonated throughout the space as partisans embraced one another, tears of joy welling in their eyes. For many, this was the first time they had seen one another in over sixty-five years. Allen Small, who traveled from Palm Beach Gables, Florida, was overjoyed to be reunited with Leon Bakst who came from Dallas, Texas. Over 400 guests packed the stylish art deco Edison Ballroom the following evening to formally recognize and honor the courage and sacrifice demonstrated by these Jewish partisans during World War II. 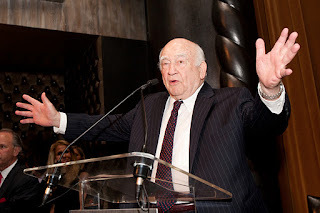 Mistress of Ceremonies Dana Tyler, Senior News Anchor for WCBS-TV and actor and Emmy winner Edward Asner, the cousin of partisan Abe Asner, paid tribute to each of the honorees. With their black and white partisan photograph projected on screen, each partisan was individually honored and identified by name, country of birth and the partisan group in which they served. In all there were 23 women and 33 men, representing brigades from Belarus, Poland, Czechoslovakia, the Ukraine, Russia and France. Included among the attending partisans were six married couples, three sets of siblings, a rabbi, a cantor and a mohel. Guests watched in awe as each partisan, most in their eighties and nineties, stood to accept their honor with the same characteristic strength and determination that empowered them to fight back so many years before. Lauren Feingold, granddaughter of partisans Dr. Charles Bedzow and Sara Golcman Bedzow also spoke. 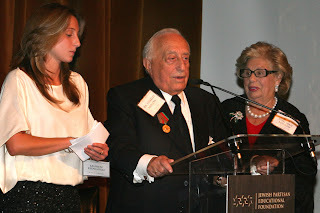 As the first third generation representative to the JPEF Board, Lauren worked closely with her grandfather, who serves as JPEF’s Honorary International Chairman, to promote the Tribute Dinner and guarantee its success. Like Lauren, many of those involved in the recently formed 3G group, are already working to ensure that young people everywhere are empowered by their grandparent’s examples, and she challenged her peers to join in this quest. She was followed by Charles who spoke movingly to his fellow partisans reminding them that they share a unique and important legacy; one which must be passed from generation to generation. In a fitting testament to this charge, Cantor Shira Ginsburg, grandaugher of partisan Judith Ginsburg, closed the event with a performance of the song “Who Am I”, about her family and the inspiration of her grandmother’s partisan legacy. 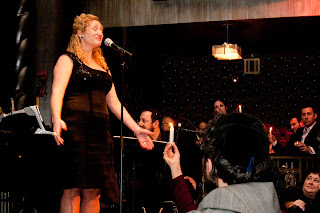 As Shira’s beautiful voice filled the room, more than forty third generation teens and young adults raised white candles high, signaling their commitment to keep the flame alive. JPEF extends its sincere appreciation to event co-chairperons Esther-Ann Asch, Suzanne and Elliott Felson, Kim and Jonathan Kushner and Diane and Howard Wohl for their dedication to ensuring the success of this remarkable event. An article in the Algemeiner. More photos from the event on our Flickr page. If you’ve seen the movie Defiance, you’ll recognize Daniel Craig as Tuvia Bielski, but you won’t recognize the above prop made for the film. 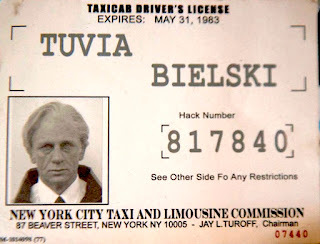 It’s a New York City hack license picturing Craig as an elderly Tuvia; the scene (intended as the opening for the film) took place in the 1980’s long after the Bielski brothers lived and fought in Nalibocki forests. “All of us have gotten into cabs in New York, and we assume that that person is just a person driving a cab.” That’s the kindling behind director Edward Zwick’s idea for the original opening scene in Defiance. Hear the rest of Zwick's thoughts on the scene in this video clip. The idea’s merit is one of relevance and human interest—little known to the Bielski story is how Tuvia and Zus modestly and anonymously lived out their post-war lives in New York City. However, Zwick didn’t intend the movie to be a romantic or comprehensive overview of the Bielski’s biographies; he wanted the film to express the absolute physical and moral struggles during that particular moment in their lives. In this way, the discarded prop serves as a symbol of artistic integrity. “I didn’t want it to be comfortable,” Zwick said at a JPEF event this Spring, “I wanted it to capture the feeling.” For more on Defiance — including educational material and interviews with Tuvia Bielski's brother Aron — go to www.jewishpartisans.org/defiance. Visit the JPEF website for our acclaimed Defiance curriculum. 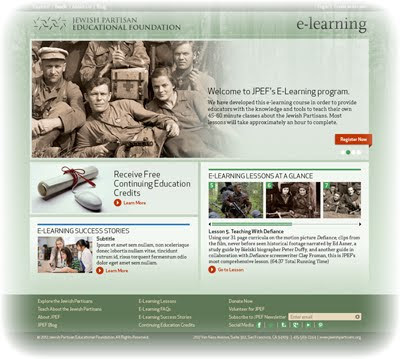 Additionally, E-Learning classes on Defiance are available at www.jewishpartisans.org/elearn/web/. The day-to-day lives of the Jewish partisans were extraordinarily difficult. Jewish partisan units had little arms and ammunition to fight with, and when they were not fighting, they were struggling to find food for survival. They slept in the elements and had little to no medical supplies. They also had to worry about local collaborators plotting against them. Yet, the Jewish partisans evaded capture, used their resources to impede German operations, retook ghettos, killed German troops, and saved thousands of Jewish lives during World War II. They were successful for many reasons and developed many instruments for survival. One way in which the partisans had an advantage over their enemies was their use of the cover of night. 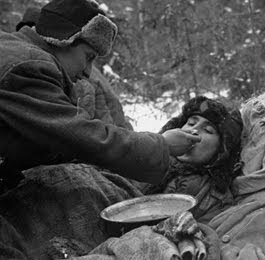 Most partisan group activities, especially those outside of the forest, were carried out at night. Jack Kakis used the cover of night as a setting for his factory-bombing operations, Simon Trakinski's partisan group blew up train lines at nighttime, and the Bielskis used the darkness to veil their food gathering missions. 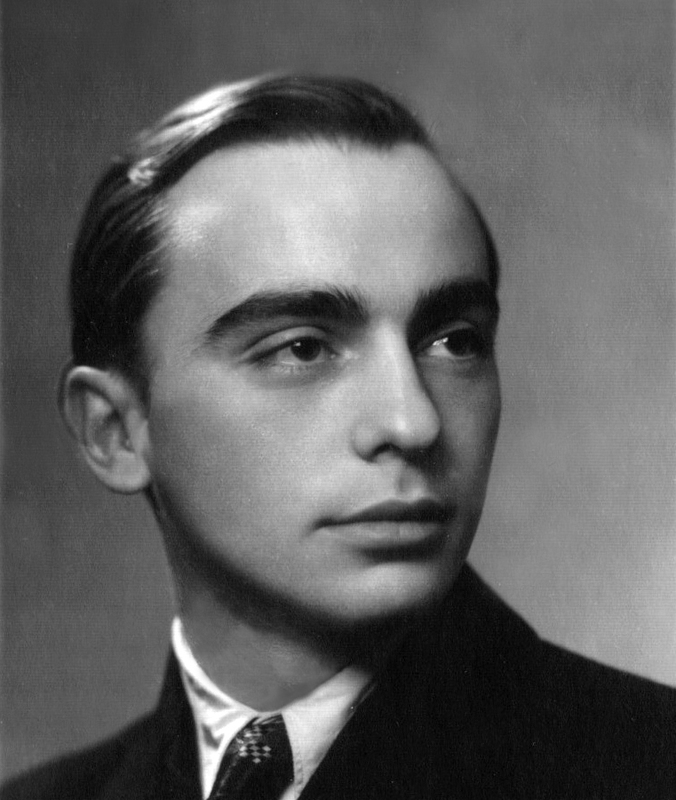 Ben Kamm also led operations at nighttime, successfully freeing 600 Jews from the Janow Lubelski labor camp in Poland. For more information about the Jewish partisans, please visit the Jewish Partisan Educational Foundation's website. The Jews in Nesvizh organized one of the first Jewish uprisings during World War II in order to resist complete liquidation of their community. 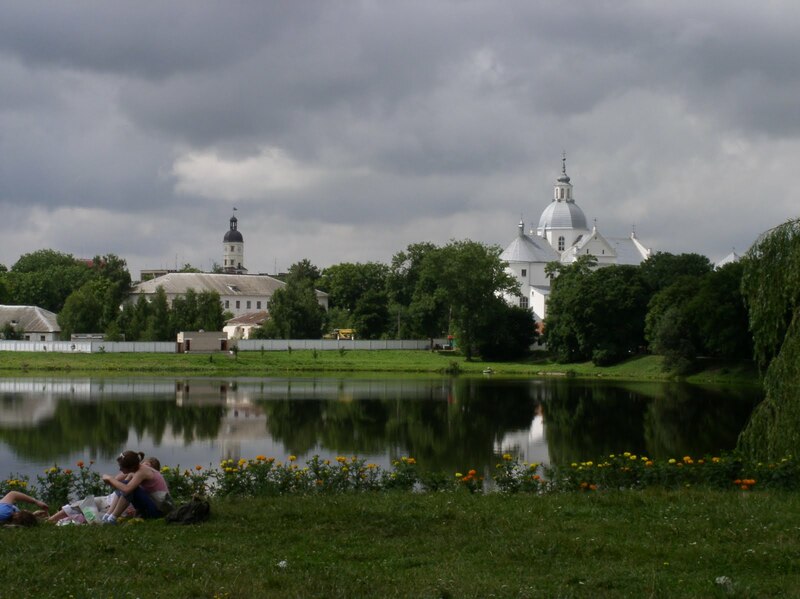 Nesvizh is a small city in Belarus, over 100 kilometers southwest of Minsk, full of public parks and architectural attractions, and is passed through by a lake. On the small lake’s eastern bank the formidable Nesvizh castle, a UNESCO World Heritage Site, stands tucked in between shade trees, cosseted by ramparts and canals. As a center for fairs, the town attracted artisans, horticulturalists, and farmers. Until 1942, there had been a Jewish community here for hundreds of years. Nesvizh Synagogue, date unknown. Compiled by the members of the Nesvizh Study Group. After the German invasion in June 1941, an aktion was ordered on Nesvizh and thousands of Jews were executed all at once in the small city. By October 30, 1941, the Jewish population in Nevizh had been reduced from between 4,500 to 5,000 to approximately 600 Jews. The remaining Jewish population was limited to a ghetto. Anticipating a second aktion, an underground movement in the ghetto was formed to resist the community’s complete annihilation and to embody the mottos: “We shall not go like sleep to slaughter” and “Let me die with the Philistines”. Underground participants acquired arms by having weapons — including a machine gun — smuggled into the city from storehouses. 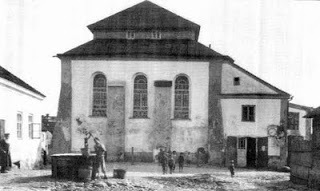 Nine months later, in July of 1942, the Nesvizh ghetto began to hear of German liquidation engulfing nearby communities. They prepared for the imminent orders: digging bunkers, organizing into fighting units, and preparing additional homemade weapons like knives and hatchets. In the event of an occupation, they planned to set fire to the ghetto and break through to the forest. On July 20th, a German commander stood outside the gates of the ghetto and announced the order to liquidate with the exception of thirty essential skilled workers. When the Germans and collaborating Belarusians infiltrated the ghetto, the Jewish resistance set their houses aflame and fought towards the gate. 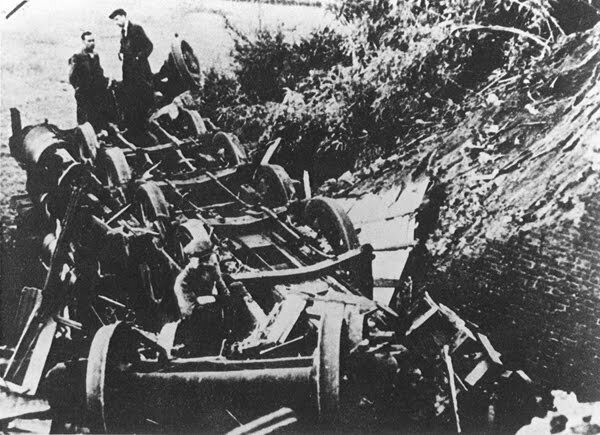 The Germans and Belarusians soon overpowered the resistance, killing most in the onslaught. Only twenty-five underground fighters succeeded in escaping to nearby forests. Having endured one of the first ever ghetto uprisings, many of these survivors went on to join partisan units, including the Zhukov Otriad, and continued in the struggle to resist. 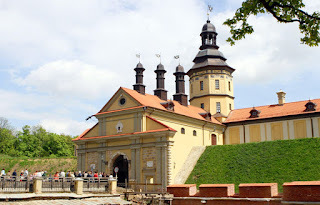 Entrance to the Nesvizh Castle, a UNESCO World Heritage Site. This uprising is described in detail in: Cholawski, Shalom, Soldiers from the Ghetto: The First Uprising Against the Nazis (San Diego and New York: A.S. Barnes & Co., Inc, 1980). The first scene of the film Defiance, as originally produced, opens with an elderly Tuvia Bielski (played by Daniel Craig) driving a cab in New York City. He picks up an fare — an elderly gentleman, who is a former Bielski partisan who recognizes Tuvia by his cabbie's license. In this video shot recently in New York, Defiance director Edward Zwick discusses this scene, and why he ultimately replaced it with something that wouldn't be "comfortable" or "nice". For more videos, including Zwick discussing Defiance, visit our youtube page. For more on Defiance — including educational material and interviews with Tuvia Bielski's brother Aron — go to jewishpartisans.org/defiance. Over 500 students from 20 states, Canada and South Africa, representing public, private, Jewish and parochial schools, competed for the notoriety, an iPod Touch, JPEF DVDs, posters and t-shirts for both themselves and their teachers. Click here to read the blog announcing the winning essays. Elliott Felson, JPEF board co-chair noted, "The students' essays were thoughtful, bright, and creative. 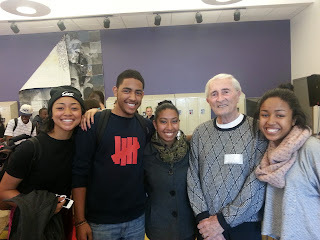 Each one of them, from middle school to high school, spoke from the heart and the students were moved to make a difference in the world in their own way." EJ Weiss, First Place Winner - Upper Division, felt the contest was transformative, "I now not only remember the bitter end of the six million Jews, but also the fighting spirit of the forceful resistance. 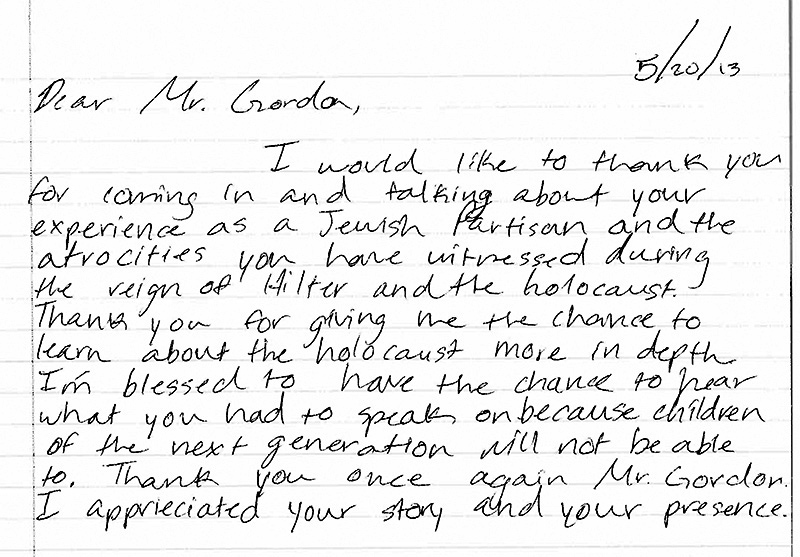 This contest has forever changed my perspective of the Holocaust, my people, and my family." Jewish Partisan Sonia Orbuch with winning essayist EJ Weiss. They had the opportunity to meet last week. EJ's History Instructor at Kehillah Jewish High School, Jaclyn Guzman was excited to share that "JPEF's writing contest is a perfect match for classes that are looking to transform the lessons of history into their understanding of the world. The contest provides a true connection to real people and brings the past to the present for the students." Molly Oberstein-Allen, Second Place Winner - Upper Division, observed, "I was glad to be given the opportunity to write about a topic so meaningful to me and to my heritage. I think the contest is a great way for students to both learn about people who stood up for others and to relate those people's actions to current times. 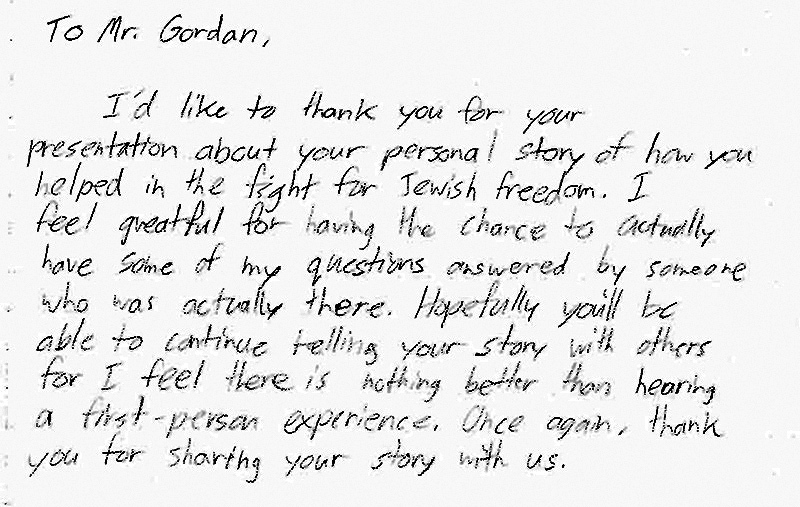 The contest gave me new understanding of the Holocaust." Molly's teacher at Hyman Brand Hebrew Academy, Michal Cahlon, adds, "The Youth Writing Contest helped students reflect on the different ways they could effect change in their community, and on the importance of choosing to be a participant rather than a bystander during life's most difficult moments." "Before the contest, I was familiar with the history of the Holocaust, having recently visited Terezin and Auschwitz." commented Nick Sexton (Third Place Winner, Upper Division), "By participating in the JPEF's Youth Writing Contest I gained insight into the lives of those that resisted the Nazis, teaching me things I did not know before - including that there were people that stood up and managed to save thousands of lives." Mary Solomon, 8th Grade English and Literature teacher of Mason Stevens, the First Place Winner, - Lower Division, commented, "The Holocaust is a major part of our 8th Grade curriculum, which I have been teaching for more than twenty-five years. The JPEF web site is fabulous because in earlier years when students tried to research partisans there was not much available. This site is now on my list of highly recommended resources. We especially like to emphasize all the people who made a courageous decision to act rather than remain bystanders. Thanks for all that you do to make these stories available to students. They need images of heroes who are not rock stars or sports figures. The JPEF website provides that for them." Jennifer Peterson, Second Place Winner - Lower Division, observed, "Researching and learning about the Jewish partisans has been a great experience. Thanks to the wonderful resource of the Jewish Partisan Educational Foundation website, I was able to learn so much I hadn't known about the Holocaust." 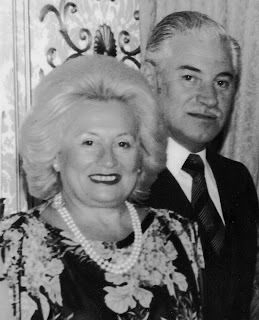 JPEF's 2011 Youth Writing Contest was made possible by a contribution in memory of Eta Wrobel (z"l) and contributions in honor of Rose Holm and in memory of Joe Holm (z"l). 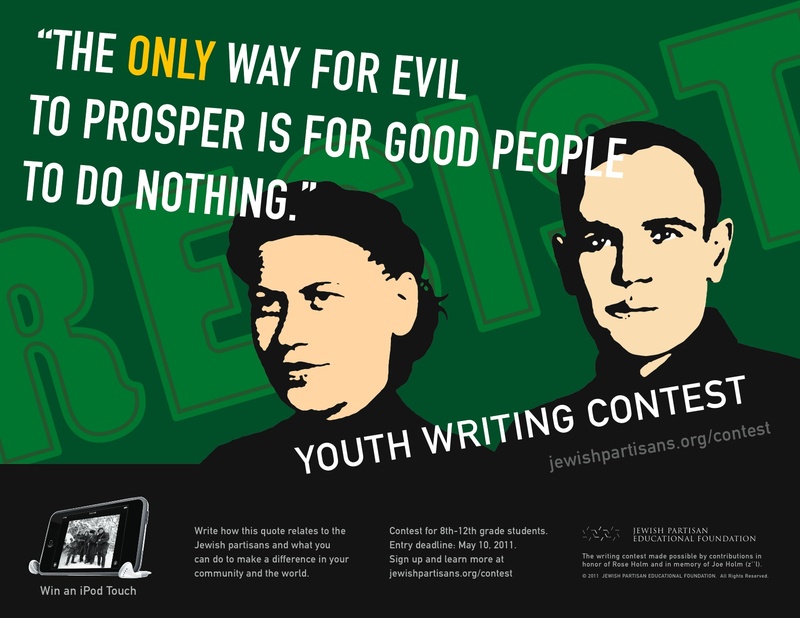 Information about the 2012 Writing Contest will be available at www.jewishpartisans.org/contest in January, 2012. The first place winner of the Upper Division category (10th-12th grade) of our 2011 Youth Writing Contest was EJ Weiss, a sophomore from Kehillah Jewish High School in California. Congratulations, EJ! EJ's essay starts by talking about what she believes is threatening humanity today - silence. "It is not guns, nor gas, nor bombs that threaten humanity. It is silence," she says. Cries of the innocent, the deafening shot of a rifle, the faint sound of gas spreading, followed by utter silence. It is not guns, nor gas, nor bombs that threaten humanity. It is the silence. A silence that only a strong person can break. A silence that was broken by young people standing guard in the freezing cold, mining the train tracks, slowly nursing people back to health, and saving lives of brave men and women who entered a seemingly impossible battle. 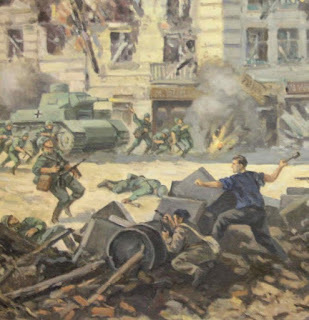 While evil stared in the hollow faces of men, women, and children, piercing the hearts of mothers, fathers and children, the partisans took action. Using her limited knowledge of her great uncle Shmuel, a Jewish partisan, EJ shows her understanding of the partisans. "My great uncle Shmuel was one of these brave young partisans. I know he had a great spirit of resistance and fought for the freedom of my family and the Jewish people. Unfortunately, that is all I know about him. His story was never told. He was one of the millions that perished in the war, but one of only thousands that died while fighting back." Her essay continues, referencing the story of Jewish partisan Sonia Orbuch. "I imagine that his story is like that of Sonia Orbuch. Sonia Orbuch could have worried for her own safety and never faced the wicked force threatening her people, but, instead, she devoted herself to combating the atrocity. Even in a predominantly non-Jewish, Russian partisan unit, without training in weapons, she retaliated. She is an inspiration. Partisans like Sonia resisted by sabotaging the Nazis by stealing weapons and food, and prevailed by living and cultivating a proud Jewish existence. She and her fellow Partisans were not among the silent. They would not allow evil to prosper. They fought back. They were fundamental in the triumph of good, and are a key component to my proud, strong, Jewish identity." EJ's essay concludes with a discussion of what is happening in the world today. "The horrors of war and genocide still exist in the world, but the greater evils that Shmuel and Sonia faced are not at my doorstep. It is easy to close our eyes and live in the cocoon of our comfortable existence, but we must open our eyes to the corruption and injustice surrounding us. If we listen, we can hear the cries of our poor, hungry and homeless neighbors. If we are aware, we can feel the despondency of the drug addict and the pain of victims of prejudice, racism and anti-Semitism. And if we only look, we can see the irreversible damage to our planet that is caused by pollution. It is our duty to even the scales of justice in the world. We must take action. Through educational initiatives the cycle of poverty can end, by going green we can save our planet, and through donating blood and marrow to the terminally ill we can fight for life. But, the way to truly defeat evil is by teaching others not to be indifferent. We must resist, we must defy, we must fight, and we must never embrace silence." In addition to meeting the contest's guidelines, EJ's essay exemplified the inspiration between the student and the partisan, which resonated very strongly with the readers and judges. Reflecting on her experience with the Writing Contest EJ notes, "the Writing Contest has inspired me and given me pride in the relatives I will never meet because they fought against the cruel hand of injustice. I now not only remember the bitter end of the six million Jews, but also the fighting spirit of the forceful resistance. This contest has forever changed my perspective of the Holocaust, my people, and my family." EJ's History Instructor Jaclyn Guzman adds, "JPEF’s Writing Contest is a perfect match for classes that are looking to transform the lessons of history into their students’ understanding of the world. The essay contest provides a true connection to real people and brings the past to the present for the students. Instead of their writing being removed from and only commenting on the history they are learning, the students are motivated to reflect on and relate with the history. The interactive nature of the essay and the JPEF website mirrors the hands-on history philosophy of my school in which the students are participants and not merely observers of history." Elliott Felson, co-chair, JPEF Board of Directors commented, "JPEF's Writing Contest allowed me to experience the impact our work has on the kids that are exposed to it. 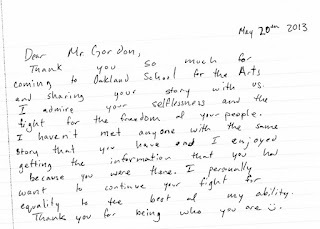 The student's essays were thoughtful, bright, and creative: each one of them, from middle school to high school, spoke from the heart and were moved to make a difference in the world in their own way." please scroll down and click on links. From 500+ entries representing 20 states across the country as well as entries from Canada and South Africa, in public, private, Jewish and parochial schools, the six top essays were chosen as winners: three from 8th-9th grades and three from 10th-12th grades. 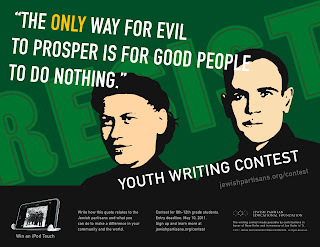 Students were given the following quote as an essay prompt: “The only way for evil to prosper is for good people to do nothing.” An English statesman expressed this sentiment, two hundred years before the Holocaust. This quote is commonly attributed to Edmund Burke, a member of the House of Commons in England during the time of the American Revolution. Burke supported the independence of the American colonies from England. His quote is as relevant today as it was then. Student essayists were asked: How do you think this quote relates to the Jewish partisans? Then they wrote a 300 to 500 word personal essay answering this question using specific examples from at least one Jewish partisan that inspired them. Additionally they were asked to write about how they see this quote as relevant today. The students essay portions on the relevance today ranged from bullying, to pollution to Darfur to standing up against discrimination and oppression. 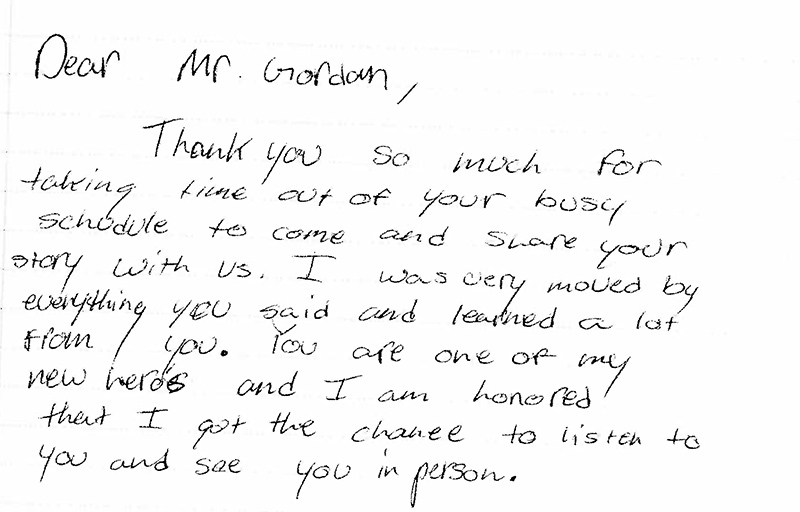 Essays remained anonymous to our volunteer readers. Each essay was read three times by three different readers. We want to take the opportunity to thank all of the students who participated in the contest, and all of the administrators, educators and mentors who encouraged their participation. We would also like to thank the 40 volunteer readers who helped us judge this contest. These essays were deeply touching and inspiring to all of us here at JPEF: the staff, board members and partisans. We look forward to hosting the contest again next year.